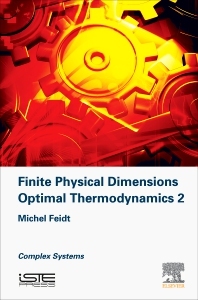 Finite Physical Dimensions Optimal Thermodynamics: Complex Systems is the result of 30 years of teaching and research in the field of thermodynamics of systems and processes. It starts from FTT during the seventies (and P Chambadal approach in France), but also includes the equilibrium thermodynamics from Carnot and TPIL from Onsager. The book shows that thermodynamics proposes more realistic results than those obtained from equilibrium thermodynamics. Focusing on a multidisciplinary approach that characterizes thermodynamics, particularly the connection between transfer phenomena and conversion of energy, the book is ideal for those in industry. Michel Feidt is Professor in the Department of Physics and Mechanics at the University of Lorraine, France.